When is it better not to take this medicine? 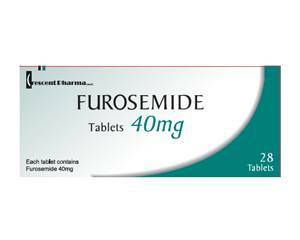 Furosemide is a diuretic or a diuretic tablet. The active substance furosemide allows for more water and salts to be secreted through the urine. This allows for excess moisture to be drained from the body. You can order Furosemide online at the pharmacies working together with Dokteronline.com. Furosemide causes the excess moisture to leave the body quickly, thereby reducing these symptoms. This drug is also used against high blood pressure. Because of the drainage of fluids, blood pressure drops, which is better for the heart and blood vessels. Take Furosemide preferably in the morning on an empty stomach, half an hour before breakfast. Swallow the tablet whole with some water. Do you use Furosemide at night to be less stuffy, then take the tablet in the afternoon around 15.00 pm. Rather not take the medicine later than 17:00 in order to avoid the need to urinate frequently at night. Starting dose : 20-80 mg per day (depending on the disease). Maintenance dose once daily or every other day 20-40mg . Never take more than 1,500 mg of Furosemide per day. Children must use a different dosage. Please observe the prescribed dosage and read the instructions before use. Side effects may appear at the beginning of the treatment and usually disappear by themselves. If you continue to suffer from the symptoms or if the side effects are severe, please consult a doctor. The leaflet provides more information about this topic. Do you suffer from other health problems, or use further medication, please consult a doctor about the use of Furosemide. Use this medication only in consultation with a doctor if you are pregnant. Furosemide should not be taken if you are breastfeeding. This medicine may affect your reactions. Do not participate in traffic if you experience this. Alcohol can increase the side effects of this medication. Moderate or stop your use of liquor, if necessary.